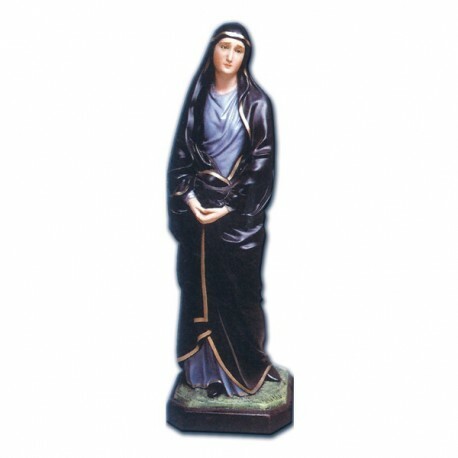 Statue of Our Lady of Sorrows, 85 cm. 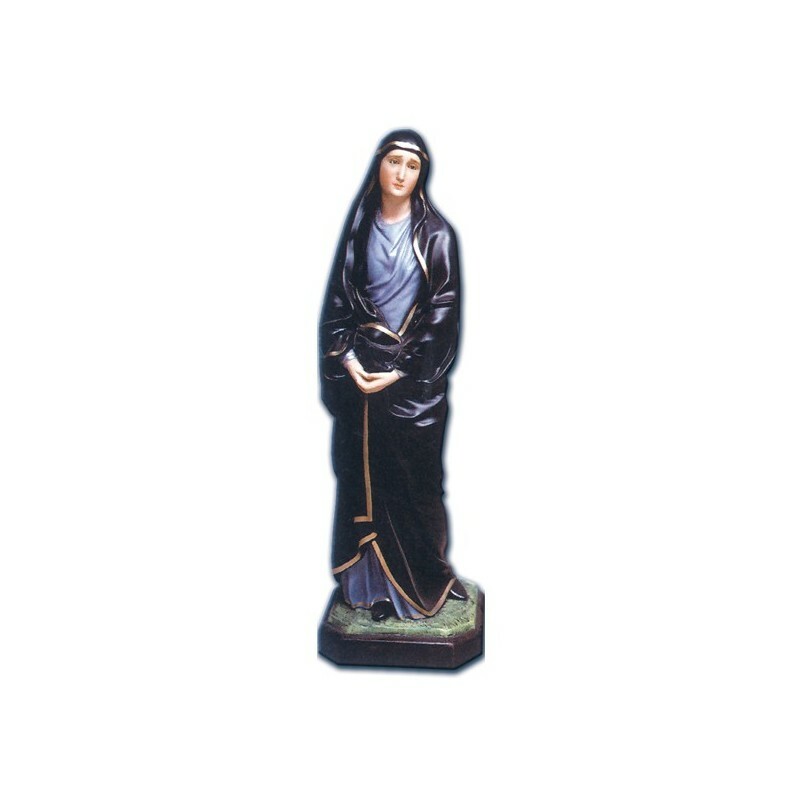 Statue of Our lady of sorrows, of fiberglass, cm. 85, handmade in Italy. 1 - Simon’s Prophecy: in Lucas Gospel he announces Mary the many difficulties her son would have to bear. 2 - The Egypt escape to break out the Erode’s persecution. 3 - The loss of Jesus in the temple: when Jesus was 12, Mary and Joseph lost him in the temple. 4 - The meeting between Mary and Jesus on the Calvario Mount, during the Via Crucis. 5 - Mary stays under the crucifixed Jesus. 6 - Mary receives the dead Jesus. 7 - Mary sees Jesus in the tomb.